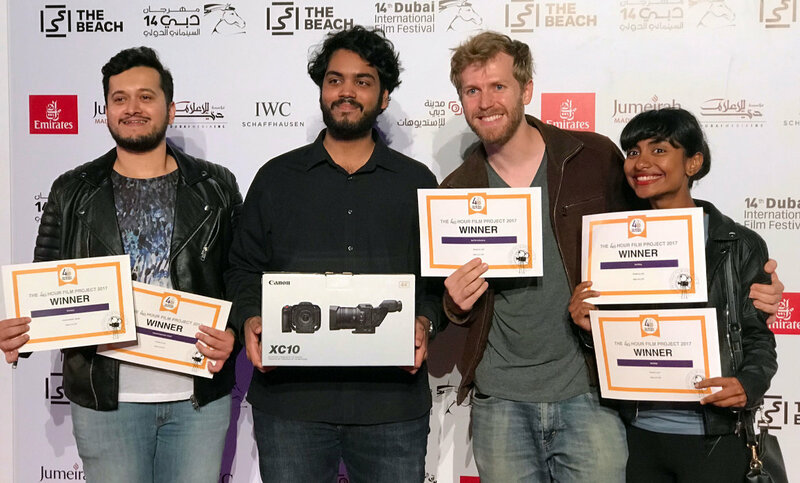 Film students and alumni from Middlesex University Dubai won an impressive total of seven awards at the Dubai International Film Festival 48 Hour Film Project (48 HFP) screening, held at the Jumeirah Beach Residence Open Air Theatre. The competition was intense, with over 50 professional and student teams participating. The challenge was to write and produce a film in just 48 hours. The Middlesex teams were both placed in the top ten and went on to win some of the accolades, including earning the title of "Official Selection." Two films made by current Middlesex Dubai students & alumni were submitted to the festival. A team of students from all three years of the BA Film course made the film A Showdown in Oblivion, in which Dr Richard Kaloon is knocked out by a patient and has to reclaim his honour in an Old West-style showdown. A team of alumni created Re-Fuse, the story of a husband who is annoyed by his cheerful and loving but 'imperfect' wife. The film - made by film graduates Abdul Majeed Nazeer and Luis Rolez, alongside psychology graduate and actress Anushka Abraham - went on to take 5 awards for Best Editing, Best Writing, Best First Runner-Up, Audience Choice and Best Actress. Reflecting on the win, alumnus Abdul Majeed said teamwork and a firm grasp of the basics were the secrets behind the team's success. "Being a part of the inaugural batch of the film programme at Middlesex University Dubai, challenges were plenty," he said. Visiting faculty Afroz Nawaf showed great dedication in supporting the students, guiding them through the 48 hour competition. “We are proud and happy of our students’ accomplishments," he said. 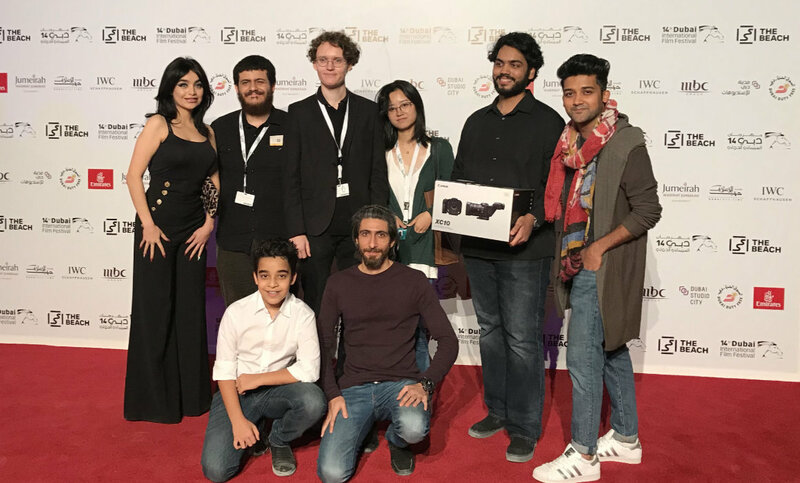 Afroz, along with the Middlesex Dubai IT Team, has also been responsible for the setting up of MDX Studios, which now has some of the best film equipment supporting an undergraduate programme in the region.